Home News Posts What do you do if you are bitten by an adder in the UK? So how common and how dangerous are these bites? 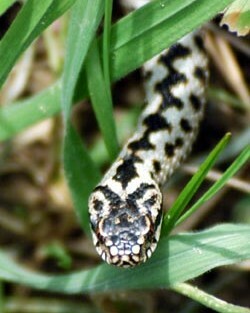 According the NHS website about 100 adder bites are reported in the UK every year. Most bites happen between June and August, with the number of bites peaking during July. And according to the Forestry Commission website no one has ever died from an adder bite in the UK for over 20 years. So what first aid should be applied after a snake bite? do not attempt to remove any clothing, such as trousers, but loosen clothing if possible. Seek immediate medical help by dialling 999 or visit your nearest accident and emergency (A&E) department. However I wouldn’t worry too much about adders as apparently statistically you have more chance of being killed by a wasp than dying at the teeth of Britain’s only venomous snake.